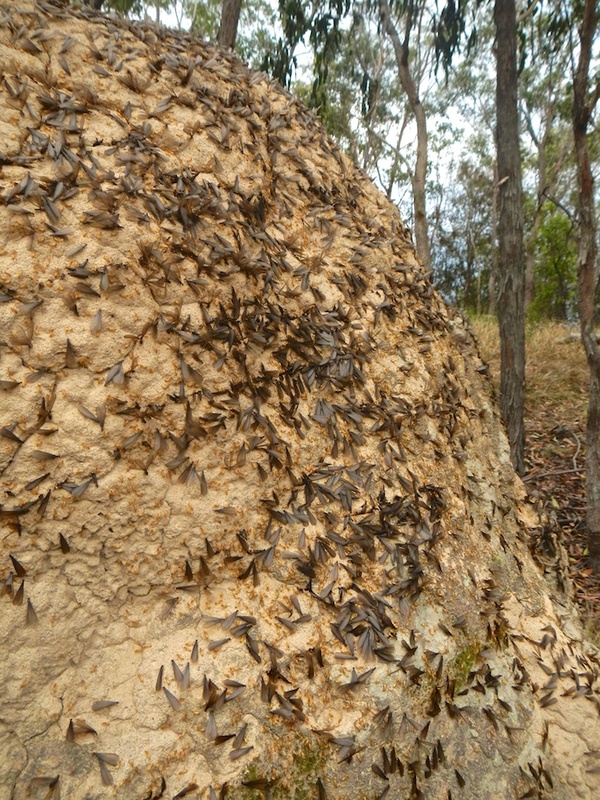 As we approached this termite mound we could see ‘black things’ crawling around the top. The ‘black things’ turned out to be winged termites about to launch themselves in the breeze for destinations unknown. 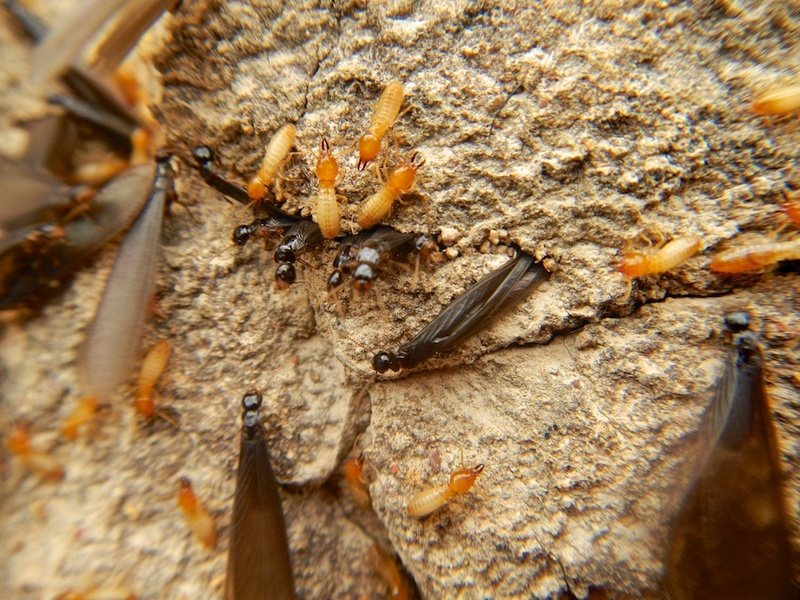 Then, when really close up, we could also see soldier termites moving around the surface, perhaps ready to defend from intruders who would make use of the exit tunnels that have been opened for the emerging winged termites. They usually come out just before rain here. 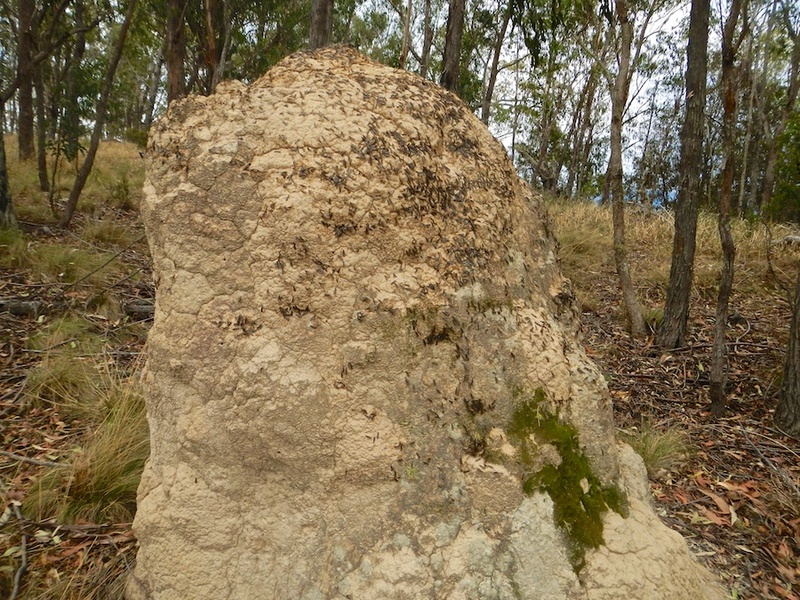 eeeew … I have not taken quite as close a look as this as a termite mound, very interesting.